Someone asked me recently how I find the time to cook from scratch, look up new recipes, and learn to cook new things with a toddler. I told her most days my husband takes the toddler downstairs with him for an hour during his workout after he gets home from work. While I do get a break, I am cooking during that break. Some days this doesn’t really feel like a break at all. Also, I just try it. Some things I’ve always been afraid to try really aren’t as hard as I thought they would be (example: whipped cream and rice krispy treats). She also asked me what time I start to cook. I told her generally 4:00 or 5:00 PM depending on what I am cooking. For example, meatloaf takes an hour to cook so I start earlier when I make that. We like to try not to eat later than 6 most days partly because of the toddler, but also because my husband and I don’t like eating later than that either. I was thinking about this conversation again today and I suppose it is the same as anyone else from the 1950s or any time before that, you just make time. Granted I am a stay-at-home Mom (SAHM) at this point, but that will change eventually. 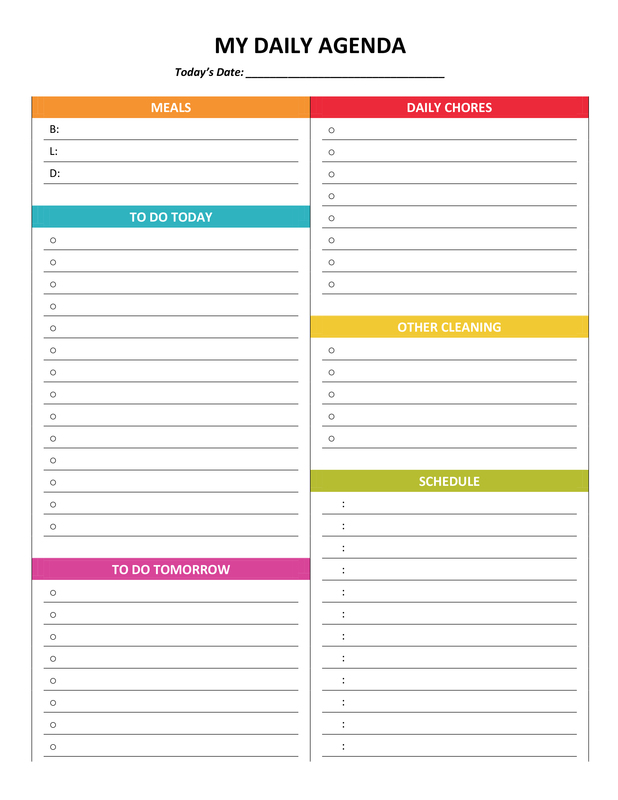 I do meal planning to some extent most weeks with the help of some planners I found on Pinterest (see below) and have started printing out recipes and putting them in a 3″ ring binder with sheet protectors so I don’t lose them when a website disappears and can easily look them up without having to constantly unlock a screen. #FirstWorldProblems, I know. While I do use the planners, I don’t plan things out to which day and which ingredients I can use or leftovers I can reuse again. I’m not that fancy and honestly when I first started out meal planning I found it quite stressful until I saw it as a list of things I can eat not things I can no longer eat. I just write out ideas for at least 4 dinners based on what sounds good and put a line through the days of the week. I never had any food allergies or intolerances before this. Sure I burped after 2 bites of cucumber but ate them anyway and got gas from beans like anyone else, but nothing like FM. I was quite the picky eater to begin with so this was a huge lifestyle change for me. I knew how to cook, but I used shortcuts like canned cream of mushroom soup and premade broths which are out of the question now with the onion and garlic. (I probably shouldn’t be writing this before cooking dinner, I’m salivating now. Ha!) For certain dishes like chicken and dumplings or cottage pie I have to be in the right mood to tackle them and have the time as they are quite time-consuming so they’re not too common on our dinner table. A couple of times I have gotten smart and did a lot of cooking on a Thursday or Friday making chicken broth and a couple other dishes in the same day and didn’t have to cook for an entire weekend, but I’m generally not that motivated. For a while I made meatloaf at least one night every week not because I eat it (I never have liked it), but because it was a guaranteed non-battle, the toddler will actually eat without dinner being a trigger word night. Now that has changed, because, you know, toddlers. I found my planners on Pinterest. There’s plenty more out there where these came from. The planner I use the most, and the one I was thinking of when I mentioned crossing out days of the week above, comes from A Feathered Nest. To download this list click the image, then click the gray download media icon which looks like a down arrow pointing to a tray. The shopping list I like when it is a big errand day and multiple stores and stops are required comes from Gone Like Rainbows’ Complete Housekeeping Set. 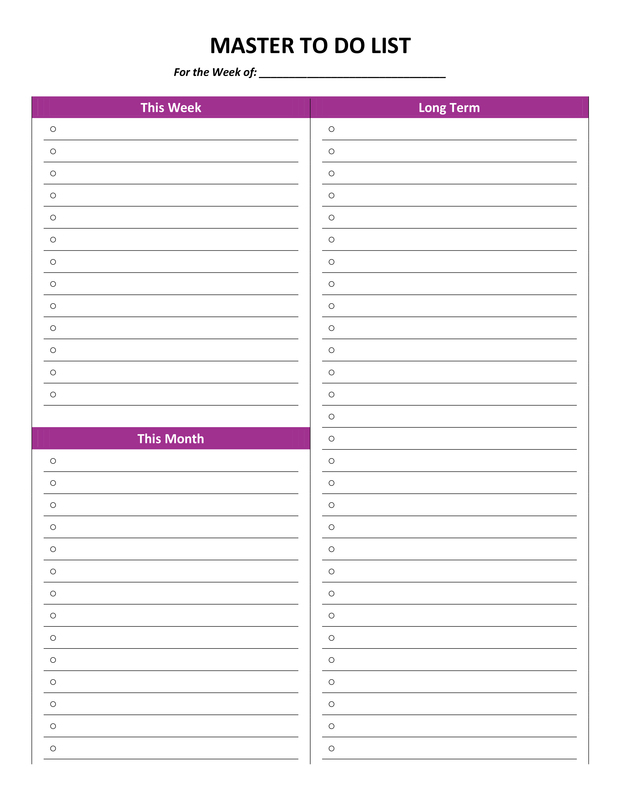 It’s the second download on the page, called Shopping List, with the hot pink column headers (direct download link). It’s a .docx file which means you can edit the column headers in Word and change the names of the stores at the top. This is helpful for me when I need to go to Petsmart, two grocery stores, and Target for pull-ups because GE doesn’t carry the jumbo pack and the bread I can tolerate best comes from Aldi where things like fruit and peanut butter are much cheaper. Scroll a bit further and there is the My Daily Agenda (.jpg) and the Master To Do List (.jpg) which I only use on occasion. Either click on the direct links above or scroll down and right-click and choose Open Link in New Tab then right-click and Save Image As to download these files. *Sorry for any mistakes, my brain is a bit slow from not feeling well the last 4 days. I suppose I ate something wrong. I’m sure you know how it goes if you have FM as well. I just hope my SIBO isn’t back. **Download files at your own risk. You assume responsibility for any damages from visiting these sites and downloading any files.